The Humanitarian Studies Program provides students with the technical knowledge and analytical tools necessary to examine and critique a wide range of humanitarian activities, including food aid, water and sanitation programming, medical assistance, and refugee settlements. The combination of rigorous interdisciplinary coursework and experiential learning opportunities prepare students for a host of graduate studies and careers, such as disaster relief, global public health, human rights, and international law. Additionally, the IIHA’s New York City location provides students with exposure to various United Nations Agencies, the US Mission to the UN, international NGOs, and prominent research institutions. We offer an undergraduate major and minor, both of which include opportunities for internships. Critically evaluate the way in which humanitarian interventions are understood and assessed, specifically contrasting the differences between effectiveness, efficiency, outcome, and impact. 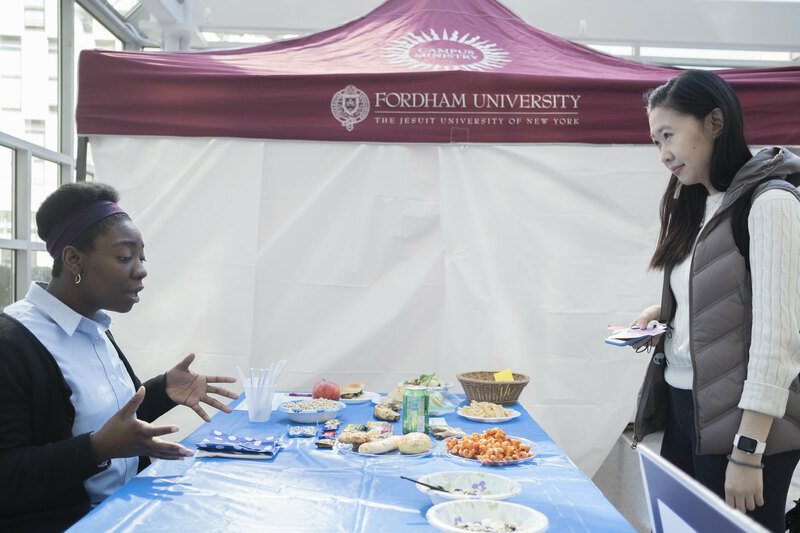 Consider their professional development and their range of career options while making use of the IIHA’s relationships with practitioners as well as Fordham’s location in New York City.